The cloud is becoming more commonplace in the financial industry, but FinTech is primed to benefit the most out of this technology. At this point, most people won’t look up to the skies when you mention the cloud. They know it refers to a now pervasive technology that helps send and store data over the Internet. But that’s usually where common knowledge on the subject taps out. 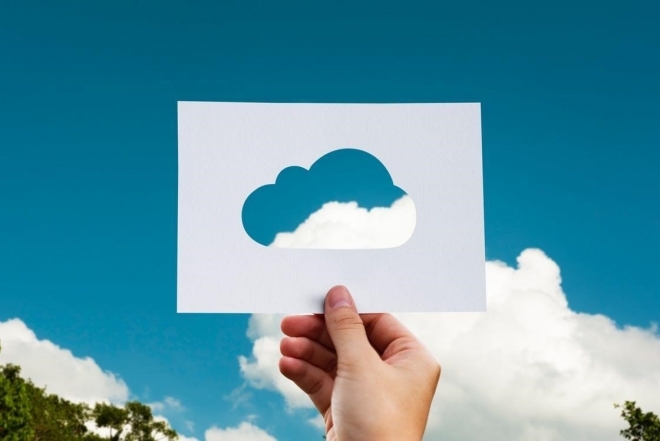 Although you may use apps that rely on cloud tech to share documents and photos, the cloud has a wider application than the files you’re sharing with friends, family, and co-workers. In the financial industry, it’s primed to help FinTech challenge the traditional bank system by offering affordable IT infrastructure. What is the traditional bank system using? Sharing sending, receiving, and storing data isn’t new to the financial world, but the way this information moves is. In the past, traditional banks — or mainstream retail banks — used siloed IT infrastructure. Just as these banks are brick-and-mortar, these silos are typically physical locations kept on site of individual branches. It takes a lot of space to store the equipment needed to hold customer and branch information. This is a closed data architecture that makes sharing information across the entire bank system a challenge. It takes time to patch problems, update code, and send data between departments, and it usually involves dedicated IT employees to merge this information manually. In other words, it’s slow, cumbersome, and tedious. How is the cloud different? Whereas siloed architecture moves at the speed of a sloth, the cloud is a cheetah. It moves quickly because it distances storage from individual departments accessible only to those on site. Instead, it transfers data storage to a network of servers, or server farms, that can be accessed by any authorized user over the web regardless of their location. That means tellers, advisors, and customers can access financial records and make adjustments in real-time. Why does it favour FinTech alternatives? Before, fledgling financial companies could be priced out of the industry. Old-fashioned siloes rely on costly equipment that take space and time to maintain. The upfront costs of these legacy systems are too much for a small startup to invest in. By comparison, the cloud is much more affordable. It outsources storage to an off-site location that’s maintained by a third-party provider. As a result, it takes less capital to use. Smaller companies that don’t have a lot of money to invest in equipment now have a chance. These startups also don’t have to spend a fortune in retrofitting out-of-date IT architecture as retail banks do — they’re starting fresh with no additional costs. Like most people, you’re used to LTE networks and fiber optic Internet packages. You expect to be able to stream videos, download documents, and share pictures without delay. You also expect to the same sort of speed when you need to pay bills or get an online loan. Cloud technology gives FinTech the ability to adapt to these expectations in real time, as well as market conditions and regulatory changes. It also gives financial companies the ability to roll out patches. Since they aren’t tied to siloed departments, they can achieve scalability with rapid data sharing. They can solve problems and revamp existing services faster than before. Speed isn’t everything. It has to be backed up by functionality. The traditional banking system relies on outdated policies that can complicate things like getting a loan. They can require people to come into a particular branch to speak with an advisor before filling out a intricate application that can take weeks for the bank to process. This can stymie the average customer — especially in an emergency when they need help quickly. With online alternatives, FinTech has taken some of the complexity out of common services and products. The cloud makes things more convenient by streamlining customers’ access to information, services, and products over the web rather than in-person branches. Customers have new ways to borrow cash that don’t rely on invasive applications or outdated in-person meetings. Instead, you can apply for an installment loan online and have your advance deposited directly into your account after as little as two business days. Although highly data-driven, most FinTech organizations are customer-facing companies. They put a value on user experience because they strive for adaptable online options. The traditional banking model, on the other hand, is only just now starting to mimic the convenience and scalability of FinTech — and they’re doing it by buying out existing FinTech startups. Nearly 90 percent of traditional financial institutions plan to work with a FinTech company in the next three years. They wouldn’t be considering this if customers weren’t turning to FinTech alternatives in droves. What once was a niche in the industry is now making massive ground in the market. This is happening at the same time mainstream banks are closing branches and losing customers. And for the first time in decades, they’re playing catch-up to FinTech.